Reaching Your Financial Destinations: Get These Things Out Of Your Purse Or Wallet Now! Your wallet can become a lot like a junk drawer you carry around. It's cluttered with loyalty cards, coupons, cash, checks, store credit cards, credit cards for gas, credit cards for everyday purchases and a host of identification cards. That much bulk can make your wallet or purse a serious hassle to carry. Even worse, though, you may be setting yourself up for identity theft. Even though it's all packed into one place, if it is stolen, each item has to be accounted for individually. Forget even one and you set up a thief to take your credit for a ride. That's why it's a good idea to give your purse or wallet a good once over. Look for things you don't regularly need and store them in another location for use when you do need them. There are also things you should never carry in a purse or wallet. If you see these items as you're trimming down your daily carry, take them out immediately. There are only a few times when you absolutely need your Social Security card. If you're starting a new job, opening a new account or applying for some kinds of government benefits, bring the original card. It's easy enough to stuff the card into your wallet or purse for one of these occasions and then forget about it. That could be a big mistake. 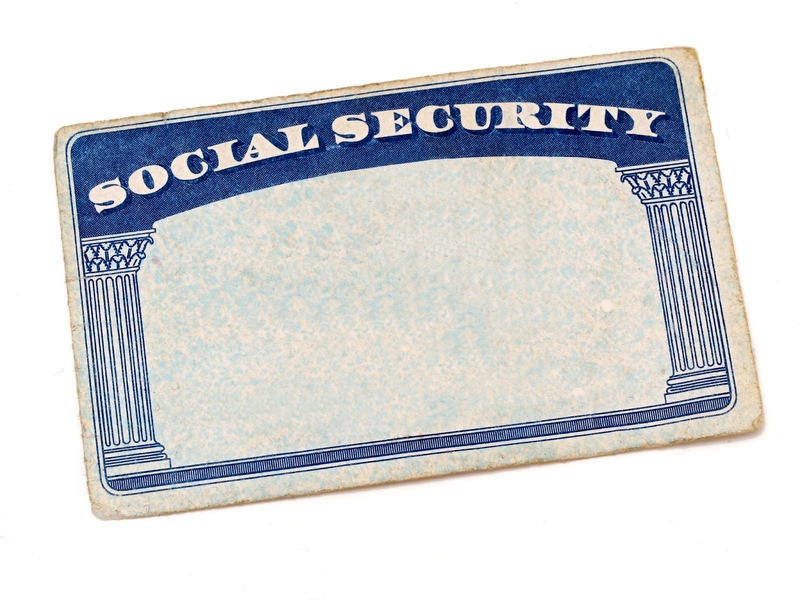 Thieves can use your original Social Security card to apply for all kinds of unsecured debt in your name. Canceling your Social Security number and getting a new one is a complicated, time-consuming process, and you may be liable for the fraud that's committed before you complete it. 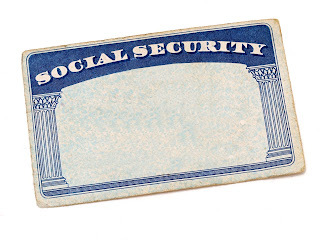 Having your Social Security card stolen is one of the worst things that can happen as far as your personal information is concerned. Keep yourself safe, and get the card out of your wallet! Put it in a secure location in your home, like a lockable desk drawer, file cabinet or safety lock box. This is by far the easiest way to accumulate paper in your wallet. Every single purchase generates a tiny slip of paper. Because you never know which might be needed later, you stick them all into your wallet or purse. Before you know it, you've got a novel-sized stack of transactions. This could be serious trouble if your purse or wallet is ever stolen or lost. While regulations prevent retailers from printing more than the last four digits of your credit card number on a receipt, that could be enough for someone to start building a profile of your purchases, especially when used with the rest of your wallet, like your driver's license. Thieves can use the last four digits of your card number to fish for more information with a merchant who has the card on file, like a cable company or an online retailer. While they may be caught once you report the card stolen, they'll have all of the time in between to rack up charges. If you're in the habit of using receipts to track your purchases, think about going paperless. Use one of the dozens of mobile scanning apps to turn your phone into a digital filebox. This information can be encrypted to keep it out of the hands of malicious people, but still accessible to you if you need to check a purchase or balance your account. Every store offers its own card and usually offers incentives to use it, too. Whether it's a purchase discount or cash back, retailers really prefer to keep their credit card processing in-house. If you shop at a few of these stores, those cards can really add up. Tack on an extra couple of cards for gas purchases, everyday expenses, and work-related stuff, and you could easily end up with a wallet or purse chock full of plastic. If your wallet or purse is stolen, though, each one of those cards has to be canceled individually. Forgetting even one can put you on the hook for hundreds or thousands of dollars of purchases. It's best to thin your collection down to the one or two you use regularly. Look for those that can be widely used, provide the lowest fees and best acceptance rates. Put the rest of them into a safe place at home, using them only when you need them. Once you're down to your top cards, make a list of their numbers and the steps you'd need to take to cancel them if necessary. Put it next to your Social Security card in a safe place. That way, you know exactly what cards to cancel! YOUR TURN: It's time to think about what's tucked into your purse or wallet. What items make your "essential carry" list and what can you safely leave behind? Watch For These Product Recall Scams! How Can I Save On The Costs Of Raising A Child?